Winning awards from an early age, Cheryl Lynn Looker was always in love with the arts. Raised in Maryland USA, Looker was obsessed with almost every type of art. When in school, Looker had the good fortune of being tutored by several master quality instructors, which has given her an extensive understanding of technique. Today her artistic voice is a dichotomy of concepts; bold colors and stark shapes, blended with soft tones and textures. Finding images of realism cleverly integrated into her abstract paintings gives Lookers work a contemplative aspect that seems to really attract art collectors. Looker, now living in Mount Dora, Florida, is actually being sought out by galleries in various markets. "I like to think that my paintings manifest themselves in some way", said looker. "The more I work with my medium the more I see things that I can work with and build upon. Looker went on to relate that, "Concepts evolve as I paint and my experience can allow me to enhance and expound upon the images that appear in my work, this is something that my collectors really can relate with in their own way. It's personal, and I like that." Looker is actively expanding into new fine art markets and regions. 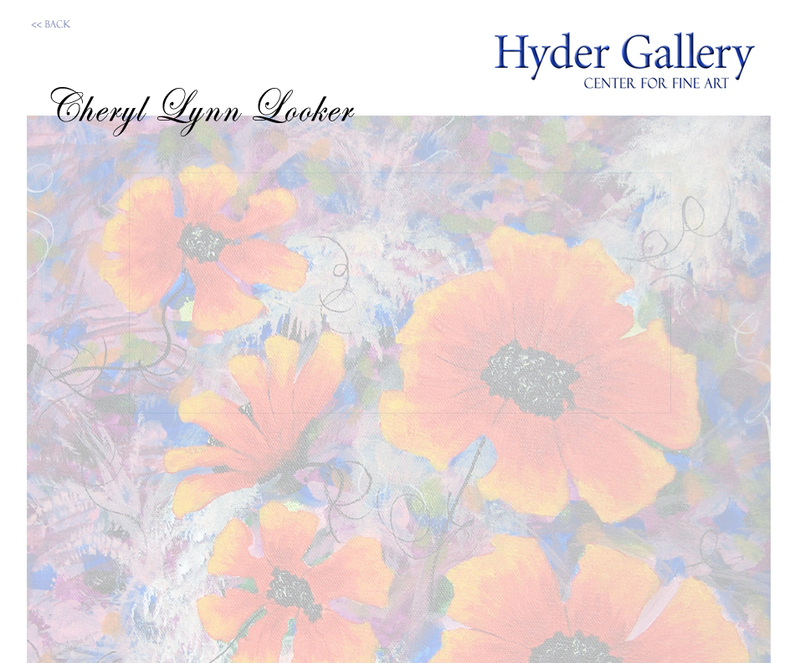 Recently Looker joined forces with central Florida based Hyder Gallery Center for Fine Art, which operates several galleries in central Florida. "We are seeing many collectors react to and buy Lookers work, said Hyder Gallery Curator, Andrew Hyder. "Further, Lookers gallery experience makes her a real pro when it comes to supporting our efforts to build her brand". Encaustic painting on paper, matted and framed. 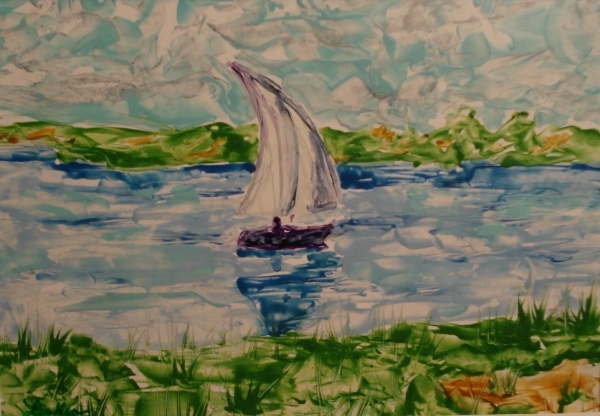 I am not a boat person but it doesnt mean that I dont like sitting on the land and watching them...especially sail boats. They seem to be so majestic when they catch the wind and slip across the water.